Justin is a Sales Associate in Mumford Company's Washington, DC office and he has consistently produced strong sales results since becoming a member of the sales team in 2006. During his sales tenure with Mumford Company, Justin has been involved in the sale of 50+ properties representing aggregate volume over $75 million in 11 states. His practice focuses primarily on the mid-market and economy segments of the industry with a concentration in the eastern United States. 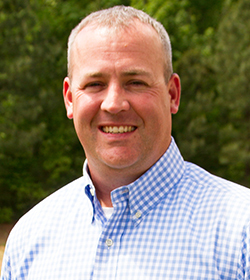 Prior to joining the sales team at Mumford Company, Justin was an Analyst/Sales Assistant from 2005 through 2006. In this capacity, he was involved in valuation analysis, market research, preparation of property marketing brochures and other corporate marketing activities. He performed these functions on an "on demand" basis for all of Mumford Company's regional offices. Prior to joining Mumford Company, Justin was employed as a Financial Advisor with New York Life Insurance Company in their Norfolk, Virginia office. During his tenure with New York Life, Justin was recognized as a "Top New Producer" on several occasions as a result of his strong work ethic and financial acumen. Early in his career, Justin worked with Anheuser-Busch Company in a marketing capacity. In this role, he was involved in event marketing, brand promotions and advertising. Justin is a graduate of the Constant College of Business and Public Administration at Old Dominion University with a Bachelor of Science in Business Administration, with a concentration in Finance and Marketing.